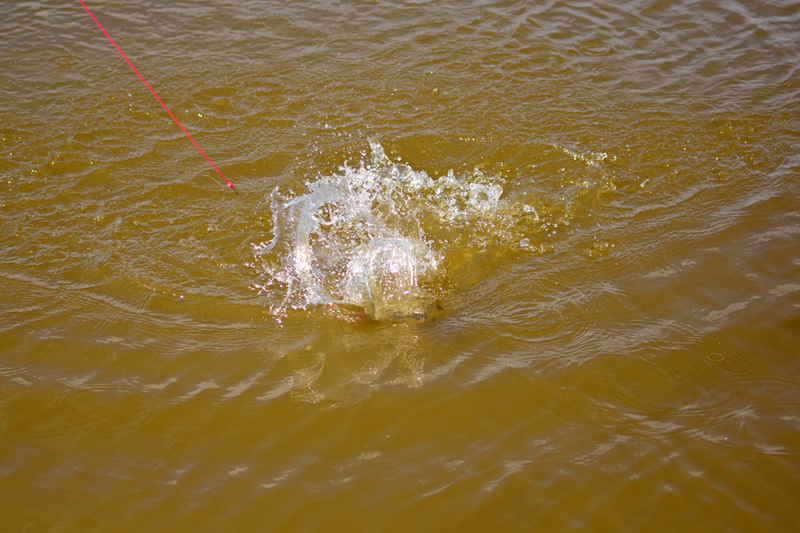 Dobbing is one of those tactics anglers either love or hate! Regardless of which camp you’re in, there is certainly a time and a place for it in your armoury. Often, we see the big specimens basking in the sun with little willingness to feed and this is where the tactic comes into its own. It is these big wily fish that are often the match winners and when pounds can mean the difference between framing and a thank you for coming, it is worth having a rig set up to target them. The key to dobbing is being able to place a rig on the fish’s nose and agitate them into taking the bait. For this I opt for a pole float heavy enough to swing past my pole tip to prevent any fish being alerted that they are being targeted. Floats of 0.3g and above are essential and rigs must be reliable as you’re targeting the big boys. Line-wise, 0.18mm is as light as I’d fish, combined with a heavy-gauge hook to reduce any chance of it pulling out or straightening. Bait wise there are several options and I like to give myself a choice as colour is important and often you will find one is more effective than another on a given day. The Slow Sinking Nuggets are perfect as I have four colour options, red, yellow, white and brown and the rubbery texture means they are durable and never going to come off the hair. Next up the are the Match Minis. These mini boilies are a harder bait than the Nuggets and make a more distinct plop as they enter the water. Sound is crucial and can often attract the fish’s attention, making it just turn and take your hook bait. Lastly is something that I’ve always kept a secret! 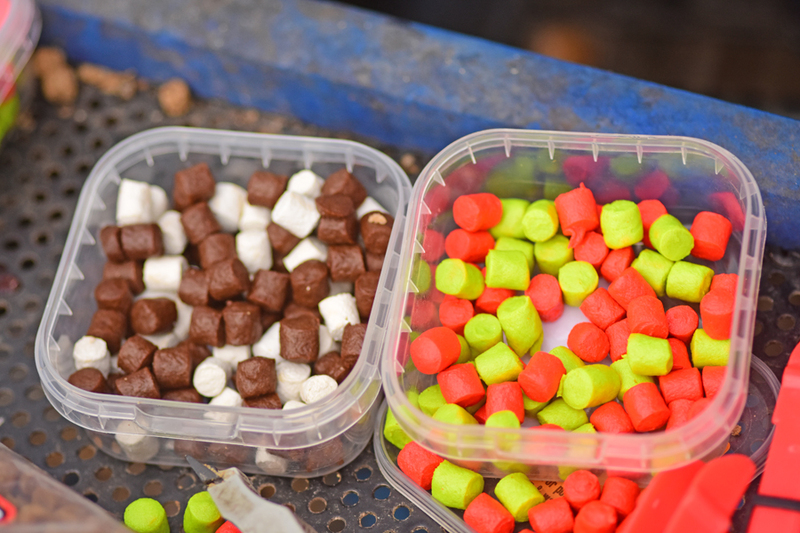 It is the use of one or two Pro Expander pellets on the hook, so the bait sinks even more slowly, helping to tempt a carp or two. 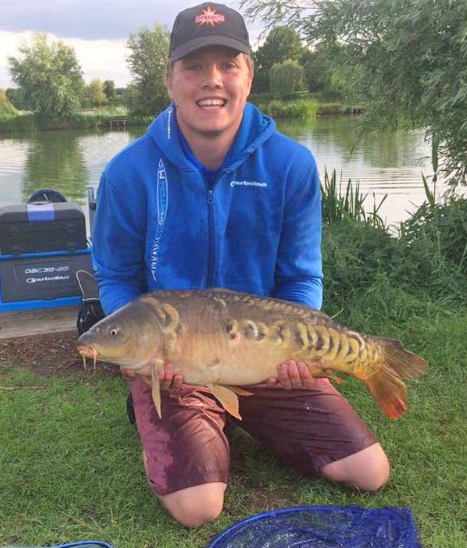 By using a hard expander – straight out of the bag – this neutralises the weight of the hook, meaning the bait is in effect almost neutral buoyant. This is a bait even the wariest fish can’t refuse and even on the most difficult of days will see fish coming to the landing net. I hope my few tips on dobbing for big cruising fish help and I’m sure if you give it a go, it will see some coming to your net in the next few weeks. When the sun is out and the fish are cruising, they is not better way to fool a few in my opinion.